After testifying against a powerful crime lord, Louise is whisked off planet by Witness Protection and taken to Esther, one of Jupiter's moons. She's given a new identity and a marriage contract. She's determined to make the most of her situation. 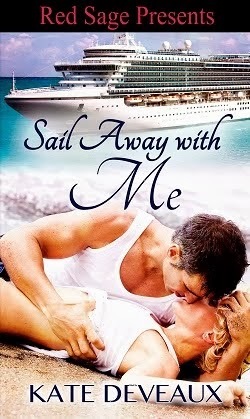 Well, she was, until she steps off the ship and realizes that the man she was supposed to marry was killed, and another man assigned to her instead. Maybe if he didn't smell like a garbage dump and look like he just came off a week long bender, she might have accepted it easier. Not there's nothing to do but hope her new husband takes a shower and leaves her in peace. Imagine her surprise when Adam does just that, and she realizes how handsome he is. They have a pretty rocky start, but Louise knows this marriage contract can't fall through, because she has nowhere else to go. Little by little she learns about her husband, and realizes there's more to him than meets the eye. And after they fall into bed for an explosive night, she's tempted to tell him the truth about her. But doing so could spell his doom. And when an assassin shows up to finish what the crime lord couldn't, she's more determined than ever to keep the husband she's grown to have feelings for safe. Louise showed bravery in testifying, even knowing her old life would be over if she did. She's just trying to make the most of it. She's not too happy to find they switched the contract on her while she was in transit, but there's nothing to do about it but deal with it. Adam was severely injured in the same accident that killed Louise's intended husband, and is trying to get past that. Together, the two start to help each other heal. There's more to Adam than meets the eye though, and you realize both of them are keeping secrets from each other. It was great to see the two interact and learn to trust, and what happens when those secrets are exposed.